Description: The flowers are in spike-like terminal racemes. 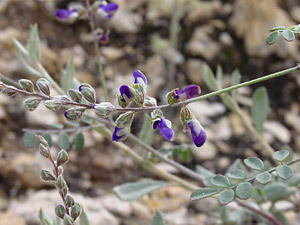 The individual flowers are pea-like, 1/2 inch (1.3 cm) long, and dark violet above and white below. 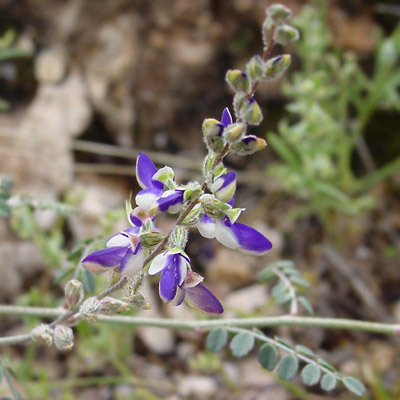 The leaves are grayish green and pinnately compound with an odd number of small, oval, rounded, or egg-shaped leaflets. The similar San Pedro False Prairie-clover (Marina calycosa) is hairier and has more elongated (less rounded) leaflets.